Meal sets on a budget? Yes, please! (SPOT.ph) And just like that, we're now on the third month of 2019, and the deals just keep on coming. This payday weekend, treat yourself without having to splurge. We’ve got your favorite meal sets and bundles, happy hour promos, and more. Meals are best when shared. Head over to Bonchon and indulge in their Meal for Two set. 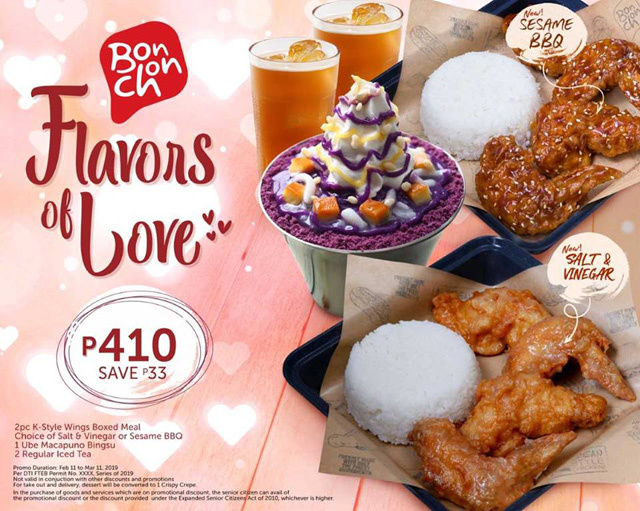 For just P410, dig into two servings of two-piece K-Style Wings Boxed Meal (choice of Salt and Vinegar or Sesame BBQ flavor), one ube macapuno bingsu, and two glasses of iced tea. This promo is valid until March 11. Sebastian’s Ice Cream just expanded their menu! Aside from their ice cream, you can now indulge in Bonsai Sundae, Flavored Whipped Cream, Dipped Banana Split Junior Sundae, Grilled Mozzarella Sandwich, Grilled Nut Butter Sandwich, Taho Shake, and Cold Brew Coffee. Even better: You can get these new items at 10% off when you drop by their Vertis North branch today until March 10. See a list of Sebastian's Ice Cream branches. For more information, log on to Sebastian's Ice Cream's Facebook page. 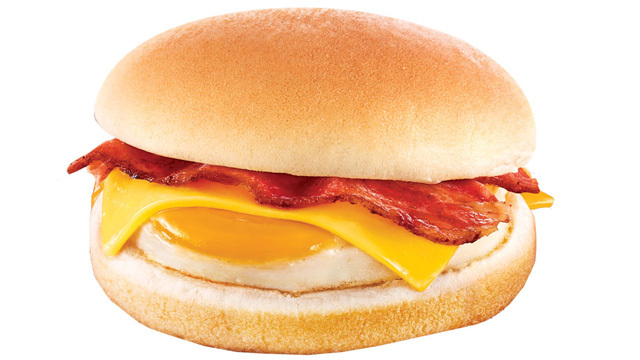 With Brothers Burger’s latest promo, there’s no reason for you to skip breakfast! 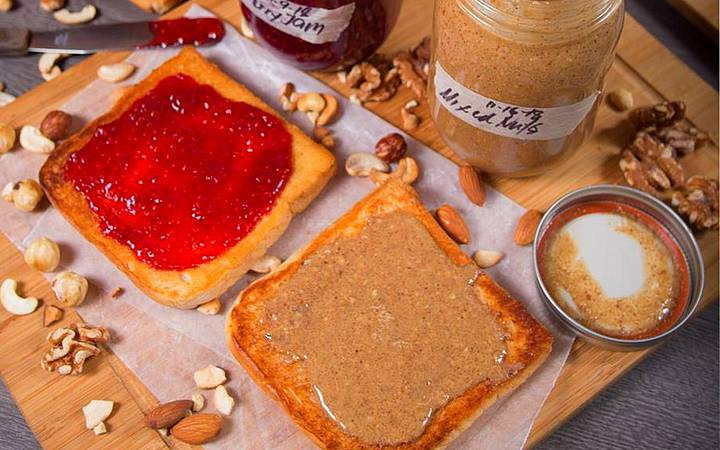 On Mondays, power up with two All-Day Breakfast Meals for the price of one! 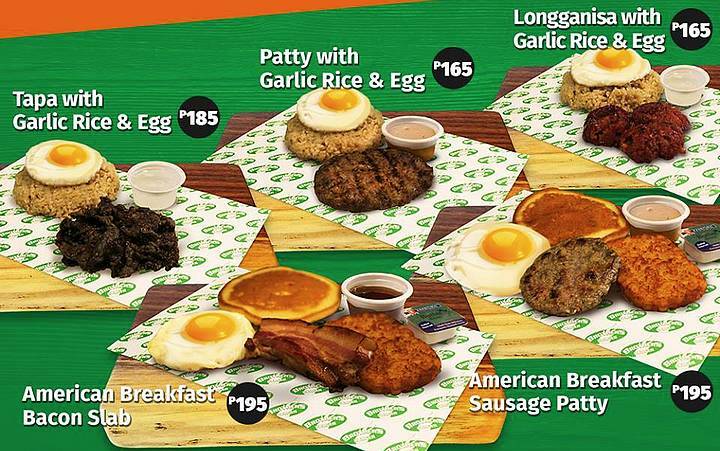 With prices starting at P165, your choices include Tapa with Garlic Rice and Egg, Patty with Garlic Rice and Egg, Longganisa with Garlic Rice and Egg, American Breakfast Sausage Patty, and American Breakfast with Egg. Promo is valid for dine-in and takeout until May 27. 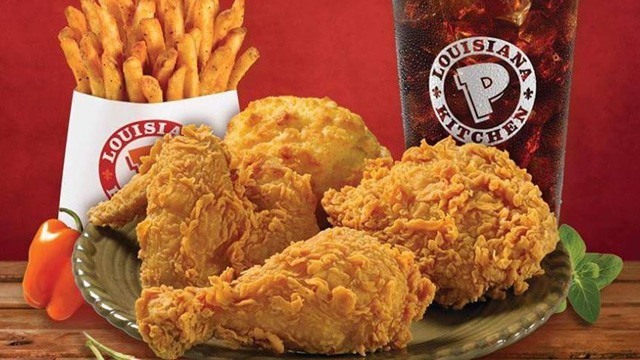 Now, you get to decide what goes with your chicken! 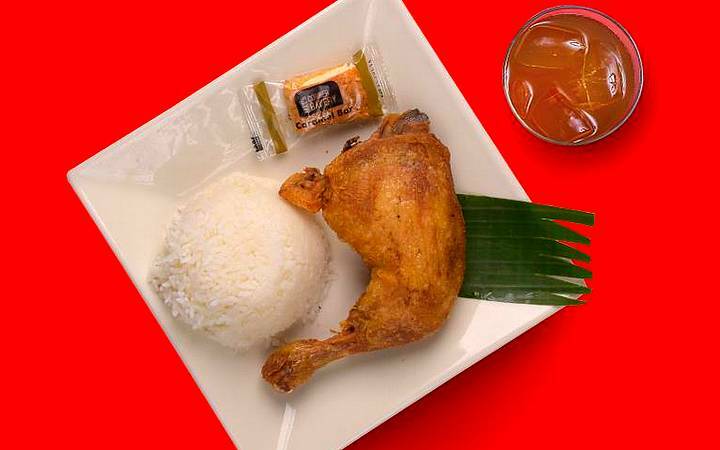 With Max's Build Your Own Plate, you can get one Chicken Leg Quarter with rice for P169. Then, you can throw in an order of four-piece Lumpiang Shanghai, one-piece Fried Lumpiang Ubod, or Sweet Potato Fries for P49 or Potato Salad, Macaroni Salad, Coleslaw, Mini Fresh Lumpia, Chopsuey, Pancit Canton, or Max’s Tofu for P59. 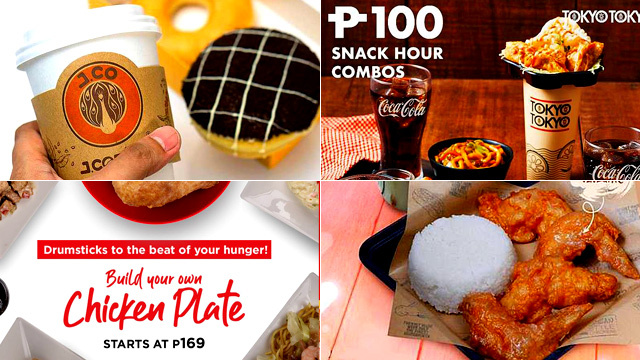 Complete your meal by adding refreshments for only P39 with their Sago’t Gulaman, iced tea, or soda. See a list of Max's branches. For more information, log on to Max's Facebook page. Krispy Kreme’s ring-filled doughnuts are making a comeback! Indulge in the world-famous Bacon and Cheese Ring-Filled Doughnut and Brulee Cheese Filled Doughnut. You can get three of these and bundle it with three Original Glazed doughnuts for only P149. 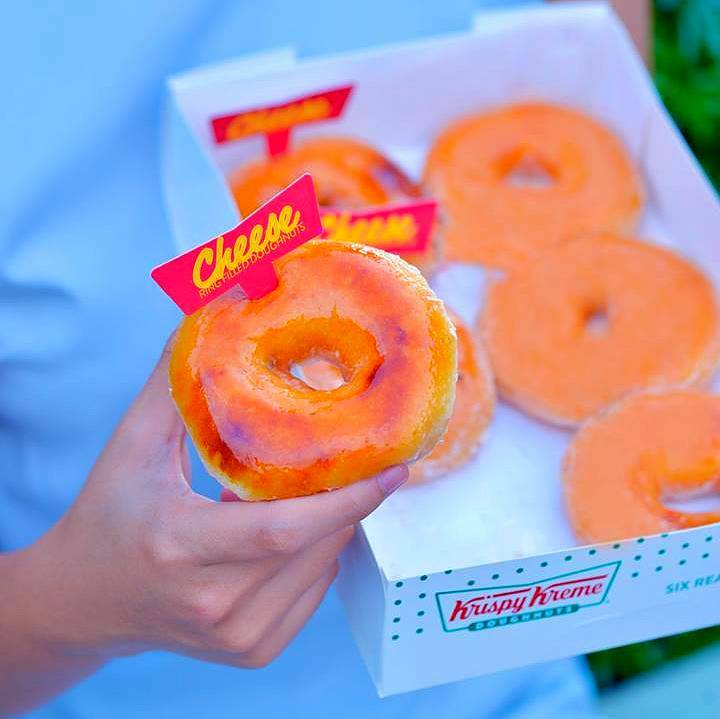 Satisfy your cheesy cravings today! Pesto pasta for one peso? 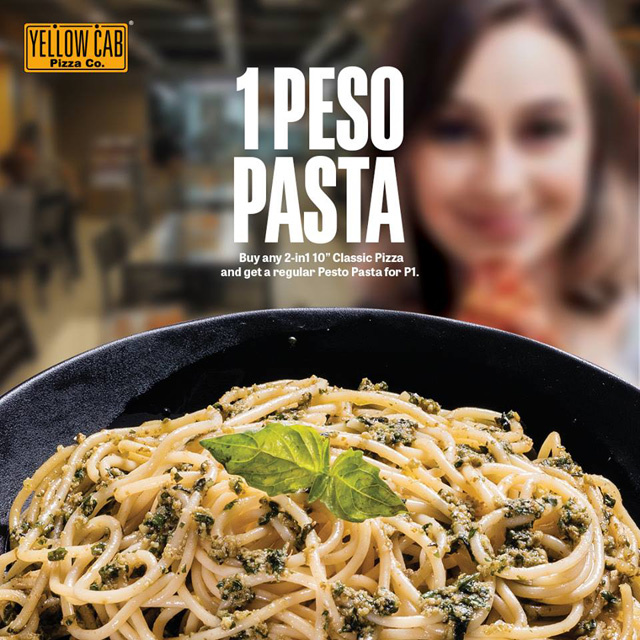 Here's your chance to try Yellow Cab's Pesto Pasta: For the entire month of March, order any any 10-inch 2-in-1 Classic Pizza for P399 and get one regular Pesto Pasta for just P1. This is valid for dine-in, take-out, and delivery. On your next snack break, head to Tokyo Tokyo. 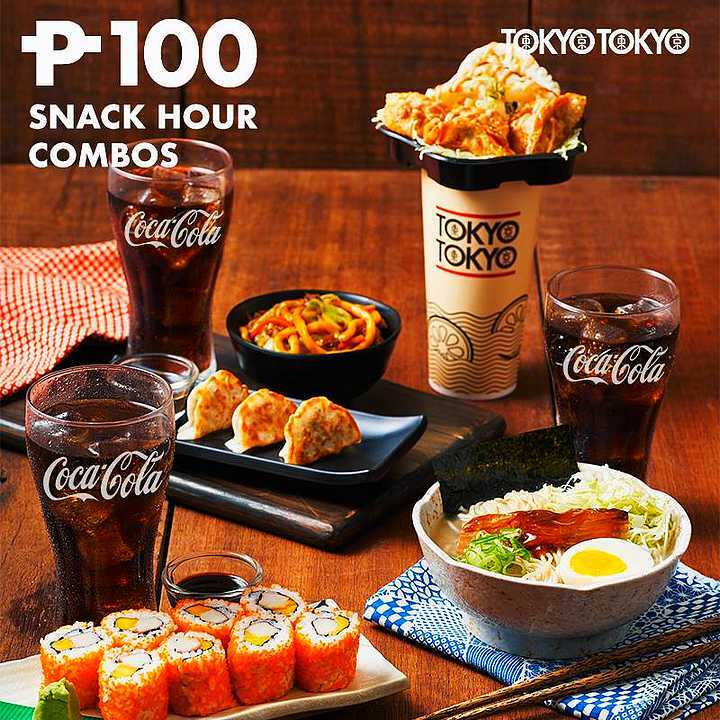 For just P100, you can take your pick among these Japanese favorites: Braised Pork Ramen, snack-sized Yakisoba and Gyoza, Gyoza To-Go Cup, or eight pieces of California Maki. Each of these comes with a glass of soda, too, so it’s the ultimate bang for your buck. See a list of Tokyo Tokyo branches. For more information, log on to Tokyo Tokyo's Facebook page. 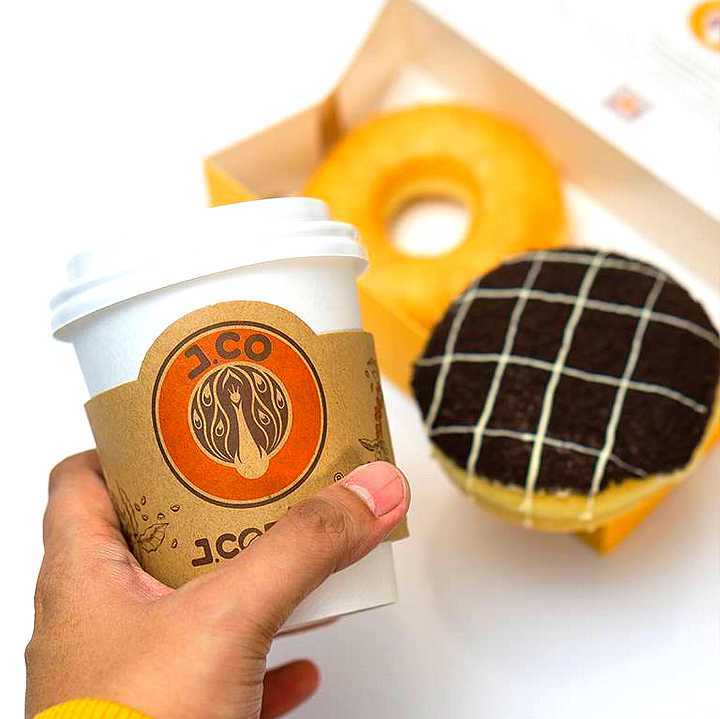 J.Co has got this week’s doughnut-and-coffee combo covered. For just P129, sip on any featured Uno-sized J.Coffee and munch on two doughnuts (one Glazzy and another doughnut of your choice). You can take your pick from the following drinks: Hot or Iced Jcoccino, Hot or Iced Chocolate, Iced Lemon Tea, or Iced Thai Tea. This promo is available until March 10. 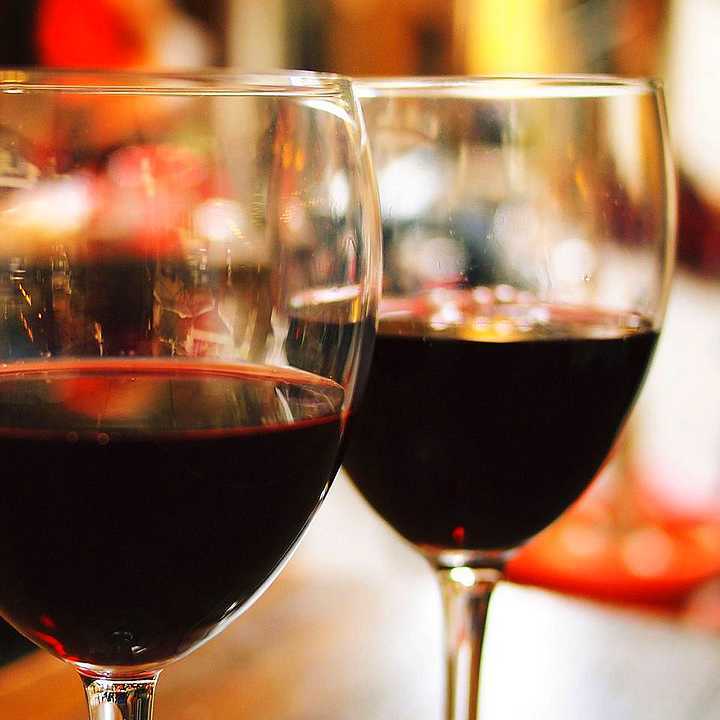 It’s wine o’clock, which means it's time to round up the gang and head over to Barcino. Enjoy 20% off all on wine bottles with their Happy Hour, which happens every day from 3 p.m. to 6 p.m.
Brunch is served! 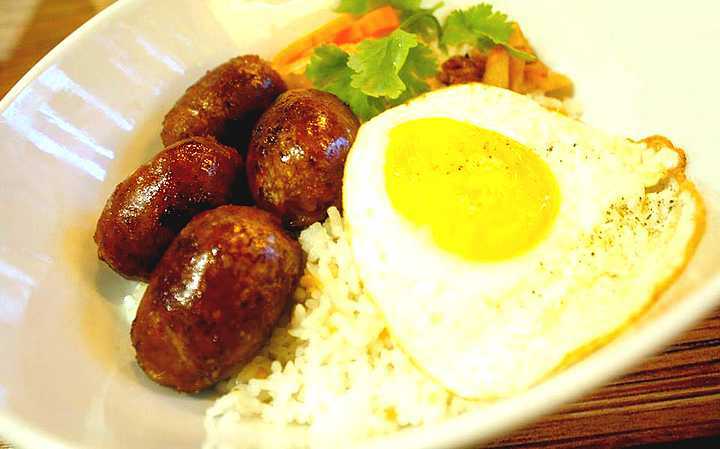 Dig into Cable Car’s rice bowls at a discounted price when you drop by between 6 a.m. and 2 p.m. Your choices include Cable Car Rice, Sisig Rice, Bangus Belly, Tocino, Spam, Crispy Tapa, Longganisa, Spanish Sardines, Burger Steak, and Beer-Battered Bacon. Each meal comes with a free cup of coffee. These rice bowls range from P168 to P198—talk about value for money! See a list of Cable Car branches. For more information, log on to Cable Car's Facebook page.